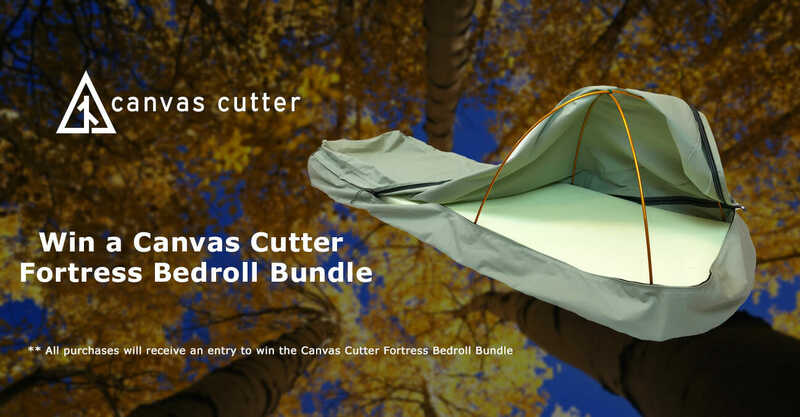 Enter for your chance to win a Canvas Cutter Fortress Bedroll Bundle! As easy as 1... 2... 3. PhoneSkope has revolutionized the way I scout big game. PhoneSkope allows me to spend more time on the mountain. In the past, I had been driving all over to download footage and pictures. 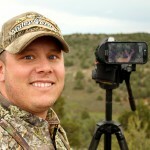 I spent so much time looking for a place with Wi-Fi to be able to share photos and videos to hunters and other guides. With PhoneSkope times have changed, it’s so simple now. I can take pictures or record video and send it right from the mountain within minutes of taking it. My Phoneskope has changed the way that I share my scouting with our clients. While scouting I can quickly put my phoneskope on my spotting scope or binos, take and send a picture. Within minutes or even seconds our clients can see what we are seeing. There is no more waiting to put the pictures or video on the computer to email to clients it all right there in the palm of your hand. Best of all the design is quick, Quiet and Simple to use. Filming & Photographing wildlife has never been easier! Now I can share my adventures with all my friends straight from my phone. My PhoneSkope rig is an indispensable part of my birding kit, a natural compliment to my scope and binocular. It is the easiest and most elegant way I’ve found to seamlessly record, document, and share my sightings! This was just what I needed to captures microscopic images for my science fair project. For all the times you’ve wished you could easily capture those incredible photo & video moments you encounter from the bleachers at your kid’s game to the backcountry for wildlife, Phone Skope is without doubt the easiest most affordable way to do so. I’m beyond impressed. My motto has always been “The best camera is the one in your hand, right now”. As a result, I sold off my DSLR and big lenses years ago because I just wasn’t using them enough. Cell phones now carry excellent camera components, and when coupled with premium optics, can achieve large-print-worthy results. I have tried all of the phone adapters on the market and PhoneSkope is the one that works best for me. PhoneSkope is modular, so when I upgrade my phone, or if I decide to use one of the older Leica Televid scopes, I only need to switch out the phone chassis, or the scope tube, respectively. That reduces waste and reduces cost, two things that are very important to me. PhoneSkope has allowed me to document rarities, help me bone up on bird identification, and create lasting pieces of artwork that allow me to relive the experience each time I look at them. Thanks PhoneSkope! I always have my smart phone with me and I keep my PHONE SKOPE in my glove box or backpack while I’m hiking, so that I never miss those once in a lifetime picture or video opportunities. This adapter is simply: the easiest to use, most cost efficient, and highest quality digi-scoping product on the market. I never leave home without it. “Share Your Obessions”! My Phone Skope adapter has changed how often I am able to ‘get the shot’ because my phone is always on me and ready to slap on my scope. It lets me spend more time birding and observing, and less time fumbling to get a photo or video. From preseason to post season scouting and everything else in between, I rely on PhoneSkope to capture those once in a lifetime moments. I have been in this industry a long time and nothing compares to the ease of use and availability at filming wildlife than the PhoneSkope. Thanks PhoneSkope for making my job a whole lot easier! Need a Phone Skope for a specific optic or one that will work with multiple?